Cognitive neuroscientist Sarah-Jayne Blakemore studies the social brain – the network of brain regions involved in understanding other people – and how it develops in adolescents. Why do teenagers seem so much more impulsive, so much less self-aware than grown-ups? 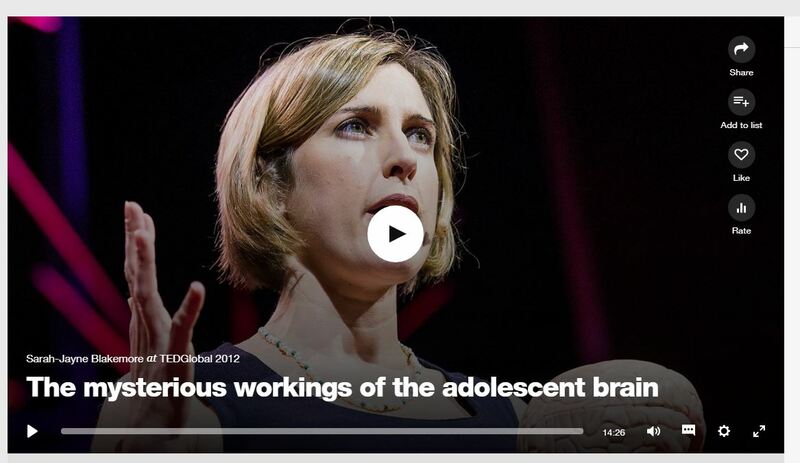 In this Ted Talk, Sarah-Jayne compares the prefrontal cortex in adolescents to that of adults, to show us how typically “teenage” behavior is caused by the growing and developing brain.